It’s an 8-hour layover and we have around 3 more hours to go I think. Ray’s asleep and the quiet lounge is triggering all things sentimental. Or maybe I’m just sleepy. This is officially the farthest I have been from home. Ever. I think that dawned on me as our plane took off because I suddenly had tears in my eyes. That, and the fact that we are on our way to Paris in a few days. What do you think should I do? I have visions of me just crying tears of joy. Uncontrollaby and embarrassingly, I bet. I also may just run around like a lunatic, waving hands in the air while screaming. Or, I drop to my knees and kiss the ground. Great. All of them sound crazy. Crazy enough I just might do one (or all) of them. I’m awake, and it seems like Lynne has been busy making postcards. Wonder how long was I out? 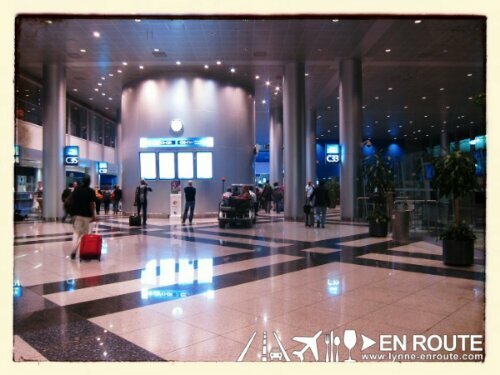 First time in Dubai International Airport. I’ve been hearing stuff about how large this place is as it is one of the global hubs in the Middle East, and yes it is huge! It’s early morning here now so there are not much people, but I can imagine how this place can get very busy when daylight comes. By the way, there is a man shaving just behind us even if the bathroom is in viewing distance. The world is really a fascinating place. Lynne is really giddy with this new adventure we are taking on. I do think the decision to pick an 8 hour layover versus a 19 hour one is way better. It’s her turn to doze off now. Glad she’s really happy with how things are going, even if we were walking like zombies for 2 hours fighting the urge to sleep and just explore the airport and look for one of the restaurants that honor the free meal vouchers. Yep. 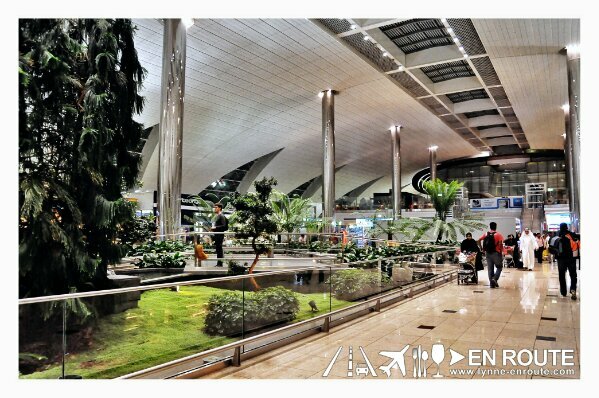 Emirates gives them if you have a layover for more than four hours. I wonder if we could win one of those fancy sports cars they normally raffle out in their Duty Free shops?